One Hot Lap: How Did God's Excellence End up at a Real Crappy Garage?! 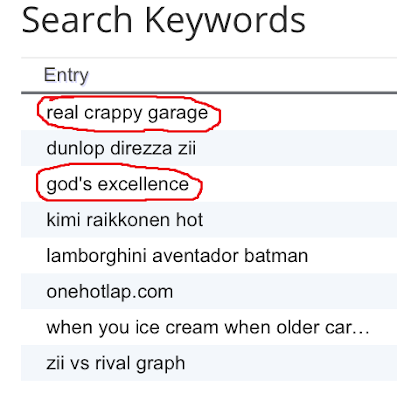 How Did God's Excellence End up at a Real Crappy Garage?! These are the top Google search items that sent users to OneHotLap on July 12. How did God's excellence end up at a real crappy garage like that? !